Thousand Oaks is located in beautiful Ventura County, 12 miles inland from the Pacific Ocean, is nestled against the Santa Monica Mountains and surrounded by more than 14,800 acres of natural publicly owned open space. This open space contains 75 miles of trails for hiking, biking, or just leisurely walking. While this natural acreage gives our community the best of nature, another source of pride in our community is the Thousand Oaks Civic Arts Plaza. Opened in 1994, this jewel of cultural arts has become a beacon for our region featuring world-class entertainment, musicals, concerts, children’s shows, ballets, and much more. Thousand Oaks, a family-oriented community of 128,000, is home to excellent schools, outstanding parks, and myriad shopping opportunities, including the largest auto mall in the nation, according to J.D. Powers and Associates. 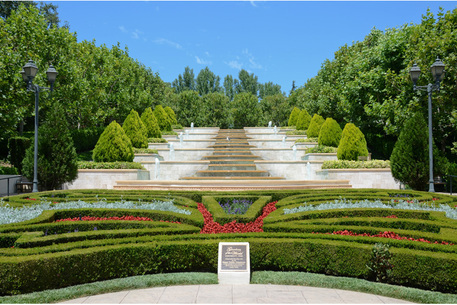 However, the cultural arts are alive and flourishing in this City of 127,000 with the world-class Thousand Oaks Civic Arts Plaza which houses the Countrywide Performing Arts Center, including the 1,800-seat Fred Kavli Theatre of the Performing Arts and the 394-seat Janet and Ray Scherr Forum Theatre. Both theatres offer a wide variety of performances including popular entertainers, Broadway musicals, ballet, symphony, live theatre, distinguished speakers, comedy, jazz, and award-winning children’s shows, and much more. 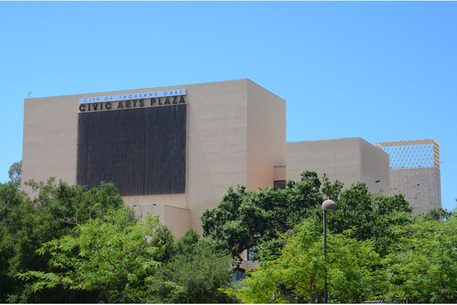 The Civic Arts Plaza is a focal point in the community and is also home to City Hall and a five-acre park. This family-friendly community, often named one of the safest cities for its size in the nation, prides itself on volunteerism; its members coming together to impact society in a positive manner to create a better world for future generations.